** UPDATE** To Fix Missing G# Note...pull down on screen to refresh and update notes...the next release will have proper fix with faster button response...thanks! Pitch Pipe Now is a "No Fuss" pitch referencing tool in the key of C (chromatic scale). Just tap the icon and you are ready to set the pitch for your performance. 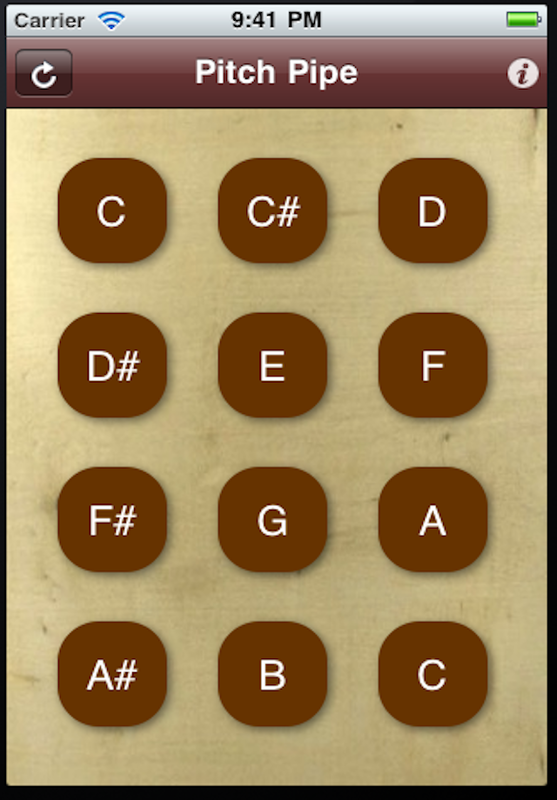 Build chords by choosing any number of Note Buttons.